Two civil suits have been filed against the Penticton Hospitality Association. Two civil suits have been filed against the Penticton Hospitality Association, one by a former employee and director of the organization, the other by a firm contracted to handle online marketing. Taken together, the two suits — both filed on Nov. 17 in B.C. Supreme Court — are seeking damages of almost $150,000. Former operations director Tim Hodgkinson is seeking damages of $108,000 for wrongful termination of his contract, and Niche Plus Digital Inc. is seeking $40,377.75 for payment of an outstanding bill. Both suits are also requesting interest and court costs. In both cases, the court has issued a “garnishing order before judgment” for about 70 per cent of the damages sought, which will be held in trust by the court until the matters are resolved. “Based on the past history and conduct of certain individuals I felt I was faced with no choice,” said Hodgkinson, who was hired as an administrative and marketing consultant by the PHA in July of 2012 and also elected to the PHA board of directors and given the title of Operations Director. His suit alleges he was improperly terminated in Sept. 2015, in the third 18-month term of his employment contract. According to the civil suit, the improper termination triggered a clause entitling Hodgkinson to a payout equivalent to a full term, amounting to $103,680 plus $4,320 owing for unpaid hours, plus interests and court costs. PHA president Barb Haynes said that since the matter is before the courts, she did not want to comment. The other notice of claim comes from Niche Plus Digital Inc., who signed a service agreement in July 2013 to advise the PHA on development of, and execute, targeted digital marketing campaigns. That relationship, with Niche executing the PHA’s instructions, and invoicing for work completed, continued on an ongoing basis for more than two years according to the notice of claim. According to the documentation, Niche issued an invoice to the PHA for $40,377 for a variety of services: a digital campaign focussed on travel sites, audience research and other items, including a consulting and strategy briefing for the PHA management team. That invoice remains due and owing, according to the notice of claim, despite demands for payment. Niche is asking for payment of the invoice, plus interest owning under the contract and court costs. Mayor Andrew Jakubeit said he is disappointed to see more disruption connected to Penticton tourism marketing. “It is frustrating that there seems to be ongoing drama,” said Jakubeit, noting that the PHA is an independent organization, and that city council had little influence, though they would continue to monitor the situation. “If there is anything the city can do to help facilitate some sort of resolution, certainly we are willing to do that,” said Jakubeit. 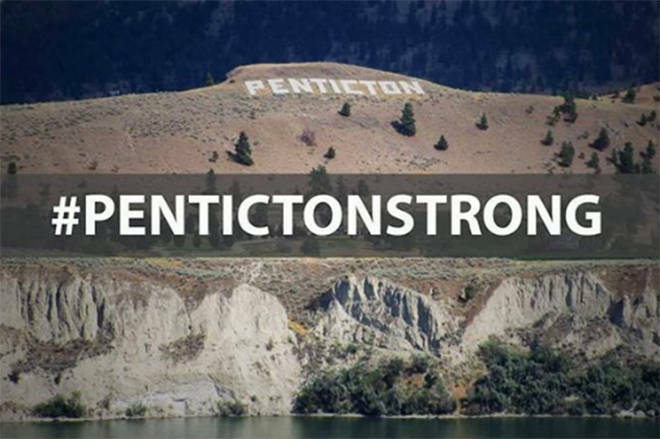 The civil suits are the latest chapter that traces back to late 2011, when the City of Penticton decided not to renew the tourism marketing contract held by the Penticton and Wine Country Chamber of Commerce and awarded it to a private group, the Penticton Business Development Group, which dissolved in Feb. 2012. Since that time, the City of Penticton, Tourism Penticton and the PHA have been wrangling over control of the two per cent additional hotel room tax, which generates about $400,000 to $450,000 annually. A Supreme Court decision in fall of 2014 absolved the PHA of the city’s allegations of financial mismanagement of the funds, leaving it in the PHA’s hands, while Tourism Penticton’s budget is covered by the city’s annual investment of about $350,000.